Please fill out the form at the bottom of this page if you plan on attending. Facebook event found here. Whirr! Whomp! Grind! Chomp! How long can three busy trucks keep it up before…MELTDOWN? Three toy trucks have big plans for their day at the playground: digging and lifting, building and shifting. But then they start to get tired…and hot…and hungry….They’re GRUMPY! When they throw a total truck tantrum, will anyone be able to calm them down? Kids (and parents) may just recognize themselves in this entertaining take on getting grouchy—and getting over it. 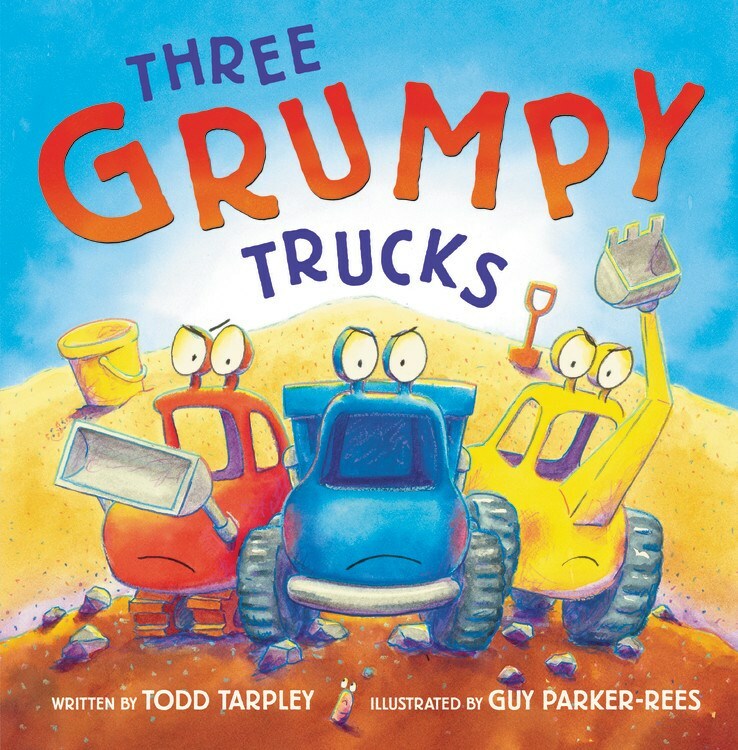 The lighthearted, rhythmic text will have young readers chanting along, and the bright and buoyant illustrations of the trucks’ looming meltdown will keep them giggling! Todd Tarpley is the author of Beep! Beep! Go to Sleep!, My Grandma’s a Ninja, Ten Tiny Toes, and How About a Kiss for Me? He lives in New York City, and he invites you to visit him online at toddtarpley.com.